Consider recycling in Trafford Park if your business generates lots of waste cardboard, plastic, paper and metal. Recycling is a great way of reducing waste. Dump sites are filled with materials that can be reused and recycled. By taking the extra step of separating your reusable garbage from waste products, you are preventing unnecessary trash build up in a dump site that is already filled to the brim. 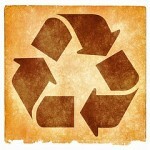 Recycling also helps to reduce your carbon footprint and is a good thing to do for the environment. By choosing to recycle, you are acting as a global citizen who cares about your environment. Where can you find recycling services? In Trafford Park, recycling and similar services are provided by Elsa Recycling. You can call on Elsa Recycling for document shredding as well. After shredding, the paper is recycled and transformed into other products. Why choose Elsa Recycling? They are a family run company that has been in the business of recycling for more than three generations. Located in Greater Manchester for over 54 years, they service the entire North West. They provide for the sorting, collecting and grading of recovered materials. Each week, Elsa Recycling recycles more than 700 tons of paper that is supplied to mills in the UK and Europe. As a company that is strongly committed to environmental ethics, Elsa Recycling is dedicated to providing an efficient service which enables customers to minimise their impact on the environment. This is all possible because of their team of experts who are experienced at handling recycling issues. If your business produces a lot of waste, contact Elsa Recycling for their recycling in Trafford Park. Do your part to reduce environmental waste and implement a recycling program in your place of business today. For more information on how to set up a recycling program, contact Elsa Recycling.